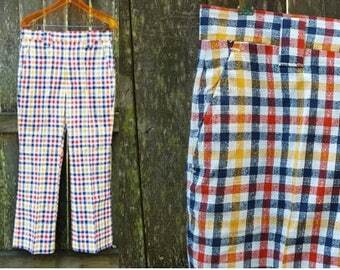 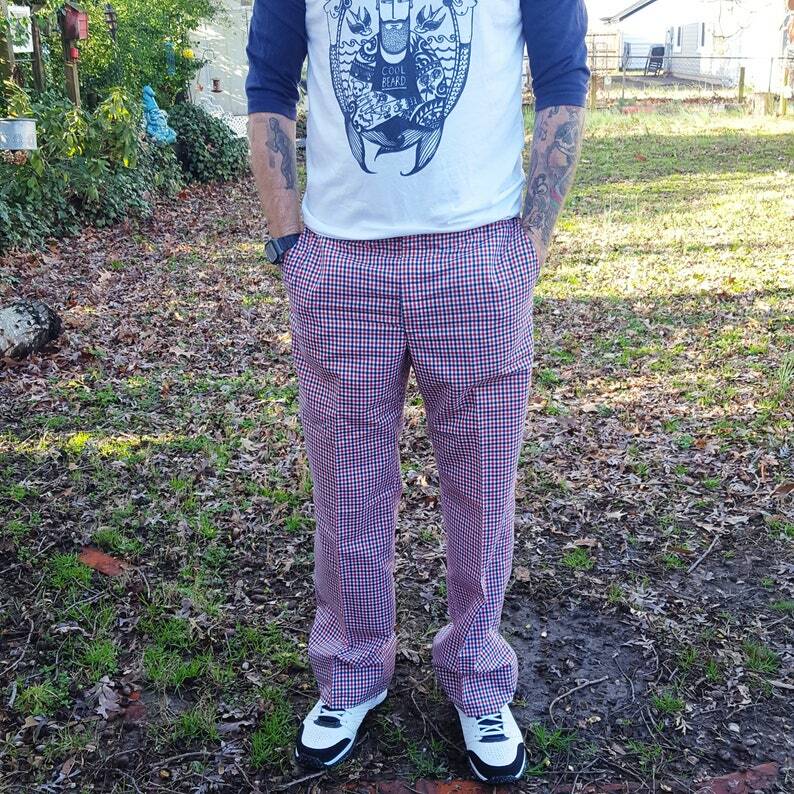 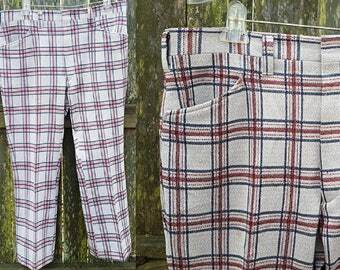 Great pair of mens vintage pants in red, white and blue plaid. 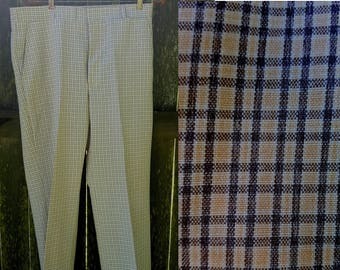 70s pants feel like a cotton blend that doesn't need ironing. 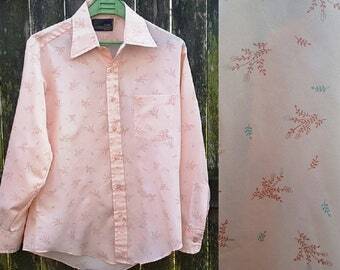 Only care tag is present.